Buddhadharma: What role have long-term, full-time practitioners—whether monastics, priests, mountain yogis or forest yogis—played in the development of Buddhism? Are their activities essential to the continuation of an authentic Buddhist tradition? Robert Thurman: It is definitely a fact that in the Buddha’s time people were inspired to drop out of their ordinary life occupations and become full-time practitioners. The Buddha would say, “Come here, Bhikshu,” or “Come here, Bhikshuni,” their clothes would change to orange saffron robes, and they would become monks or nuns just like that. So monasticism was an essential element in early Buddhism. However, I don’t like to define a full-time practitioner only as someone who is a monastic or on retreat. I would say that the fate of Buddhism has depended historically on full-time practitioners, people who turn their lives toward enlightenment as their constant preoccupation, but that has not always been monastics or retreatants. There have been lay people who have practiced the dharma by not responding in anger to violence when people shouted at them or hit them or did something wrong to them. That is also full-time practice. When you are out on the street and someone is kicking you and you do not freak out, that is very strict mindfulness. Applying antidotes to the kleshas is a forceful practice. Therefore, I don’t think we should define full-time practitioners only as those in retreat. But having said that, it is true that historically people have needed to go on retreat to develop the ability to counter the kleshas. You need to withdraw, to be alone with the emotions and the mental functions and factors to gain a handle on them. Having done so, you are able to deal with the world in a full-time way. Judy Lief: Part of the question hinges on the definition of practice. If we understand practice as bending the mind towards awakening and the present moment, then practice can take place in many guises. A certain number of people do need to disrupt their lives and dedicate themselves to realization as their top priority. But people can also dedicate themselves to Buddhist principles of compassion no matter what lifestyle they may have. Like Bob, I would not link practice solely with monasticism. There are many ways of going about it. When I met my teacher, I dropped out and moved to where he needed me to be. Many other people have done similar things when they were inspired, whether they went to live in a practice community or went to receive in-depth teachings from a particular teacher. A powerful component of any sangha are the people who transform their priorities dramatically, the people who turn their minds from the usual career path or materialistic values toward awakening. Joseph Goldstein: There is another key reason why it is important for a certain number of people to dedicate their lives in a full-time way to practice, for at least some period of time: the wisdom that leads to awakening rests on the foundation of concentration. Most people need a secluded environment to develop concentration. That is one of the crucial things missing in the West now, given that our society and culture is so distracted. It may be wishful thinking to imagine that we can actually realize the depth of the teachings in the midst of such a lifestyle. Buddhadharma: Historically, what role have intensive practitioners played in the practice of the much larger body of lay Buddhists? Joseph Goldstein: First of all, teaching is a major function provided by these practitioners. Historically, the lay people have relied on the intensive practitioners both for general life guidance and more specifically for meditation guidance. 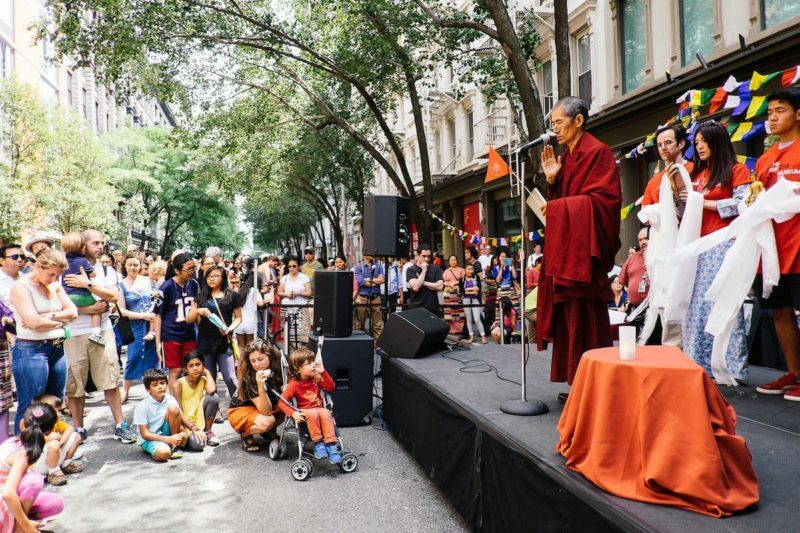 Robert Thurman: There is no question that without the four-fold sangha—the bhikshus, bhikshunis, ordained lay men and ordained lay women who followed the Buddha’s guidelines in the Vinaya—Buddhism would not have had the impact it did in Asia. They were developing a much deeper mental focus, and they were creating a higher lifestyle in those societies: greater self-restraint, greater focus and greater wisdom. Aside from the effect of their formal teaching, they created a vibe that emanated from their institutions that completely changed the quality of the society. Even though we tend to think of Buddhism in terms of Asian societies with great monastic traditions, at the time of the Buddha there was no monastic tradition. In India, there were a few ascetics who would go into the forest, and they were actually frowned upon as being slightly dangerous. In Confucian China, there was no allowance for people to be outside the normal production cycles of society, the family, the farm and the army. So Buddhism was revolutionary, in that it created a space in these societies for people to re-evaluate themselves, to develop concentration, to develop self-restraint, and to develop a greater insight into their nature. That changed the whole society progressively. Lay people absolutely depended on the foundation provided by the ascetics. However, the lay people’s way of practicing the religion was through developing generosity, morality and patience, more than developing concentration and wisdom. In fact, there became too great a duality between the monks and nuns developing the concentration and wisdom part and the lay people working more on the moral interaction level, relying on the vibes emanating from the monks and nuns. Joseph Goldstein: That ties in very well with the condition in modern times. I don’t know about in Tibet, but certainly in Burma in the last fifty or seventy years, there has been a big movement to open intensive practice to lay people. That has been a very significant movement. Judy Lief: That movement still has a long way to go. Over time, the monastic establishment separated itself from lay society in a very elitist way. Different teachings were given to lay people than were given to monastic people. The special teachings were held out for the special people, and the other people were left with a more superficial, moralistic side of dharma. Also, in terms of the four-fold sangha, the monastic women are at the bottom of the heap. So much religious exclusivity and sexism has been linked with the monastic approach that it has been quite harmful to at least fifty percent of Buddhists, who are looked down upon as taking care of the mundane world, in contrast to males, who are devoted to higher matters. Buddhadharma: What opportunities exist today for Westerners to devote themselves full-time to practice and study of the dharma? Robert Thurman: The Insight Meditation Society has done pioneering work and continues to develop even more wonderful places to practice, but just using this one example, I understand there is often a long waiting list to get a retreat space there. Joseph Goldstein: Overall the opportunities for intensive practice do seem to be limited. There are few places where people can devote themselves full-time to practice. We are just now at a stage of development of Buddhism in the West where the need for more long-term practice places is becoming apparent. Over the last twenty-five or thirty years we have been seeding the ground, developing a sangha mature enough in their practice to truly benefit others. Now the number of people making a more full-time commitment is growing, and they need places to be. Judy Lief: We are not without opportunities, though. Zen communities offer programs where one can spend a year or two in residence. Some of the Tibetan sanghas offer community residency options, and there are three-year retreat programs in Europe and the U.S. IMS offers longer term practice facilities and the Shambhala community has a regular schedule of dathüns, which are month-long meditation sessions. Opportunities for intensive practice seem to exist in all the traditions—maybe not lifelong situations, but definitely lengthy, intensive practice and study opportunities. Buddhadharma: But is it sufficient to have places where people can practice for a month or a year or several years, or do we need opportunities for people to practice for a decade or more? Is that what Buddhism really calls for? Robert Thurman: It is hard to get people to realize that long-term practice is extremely important, not only because it benefits the practitioner but also because it benefits the entire society. It counteracts consumerism and violence. Institutions that foster long-term practice are crucial if we are to make headway in dealing with society. On the other hand, Joseph’s point about the gradual seeding that has taken place is very well taken. If we suddenly had hundreds of retreat institutions, it might be difficult, because people might go into retreat who were not properly motivated or genuinely prepared. In Tibet, for example, it is not considered a good thing to go off on a long retreat until you have been well educated and prepared. You can’t just drop out with an untutored mind and expect to get a result in solitude. You need to be aiming in the right direction, so that you can use the solitude in a creative way. Buddhadharma: What about study? Do we need institutions which can create a cadre of Western Buddhists who are deeply knowledgeable about Buddhism, as well as deeply practiced? Judy Lief: Oddly enough, we have some strong features in our society that were not present in some of the traditional societies. For example, we have many more literate people. We also have many publications and books from all traditions, and we also have many university programs. Robert Thurman: And we have more women. Judy Lief: Yes, we have more women, best of all [laughs]. We also have many schools of Buddhist studies that offer in-depth training on the academic and intellectual side. We have institutions like Naropa University and various retreat centers that create alternative value systems. It is now becoming more widely known that there are other ways to obtain education and training besides the “get your credential and get a bunch of money” approach. Buddhist communities are creating the critical mass for supporting practice in all its styles, from retreat to full engagement in the world and everything in between. Joseph Goldstein: A key element in the development will be when we come to a place where there are a number of quite realized Westerners. At that point, the transmission of the teachings will really begin to take root deeply in our culture. For most of us, our teachers have been Asian, and even though we have many Western teachers, we don’t put them in the same category as our original teachers. The deepening of realization among Westerners is going to have a tremendously significant impact. When that occurs, we will realize that we can actually do it as well as our forebears from Asia. My motivation for developing the forest retreat center at IMS has been to create a place where people can come to practice for however long it is fruitful for them to practice. My inner vision is that it would be great if we started to see some Western arhats—or the Mahayana or Vajrayana equivalents—coming out of such a retreat center. I don’t see that happening unless there are places for long-term practice. There will be the occasional remarkable individual like Ramanamaharshi for whom it just happens spontaneously. But for most of us, realization is going to be the fruit of a lot of work over a long, long time. We need a place to do it and a place that will support that. Robert Thurman: Tulku Pema Wangyal told me several years ago that the Nyingma three-year retreat centers in the south of France had produced over six hundred people who had done at least one three-year retreat, and some who had done several. Among them I suspect are some arhats, or the Mahayana or Vajrayana equivalents, but I have been concerned about these people. They are in a funny position in American society. In Tibetan society, they would be lamas. Although a few of them do call themselves lamas, most are just considered to be someone who has been on a long retreat with some weird Tibetan. They often don’t know the Tibetan language very well, they have no formal credentials, and they may have to work at whatever occupation they can get. Tulku Pema Wangyal thought it might be a good idea for people who wanted to do these long retreats to have degree programs associated with their intensive practice. Perhaps it could be an M.A. program or a psychology program like they have at Naropa or the California Institute of Integral Studies. They would take a couple of years of preliminary Buddhist education and language studies and then go into the retreat. The retreat would become the equivalent of field work within the Western social setting. Then they come out with a psychology degree, for example, which they could use to become counselors. Usually when someone is ready for a retreat, they just go into it and then they worry about how they will integrate into society when they come out. To overcome that obstacle, I would love to see a Buddhist university—or even a conventional university—create educational programs that would fit around long retreats. It would help retreatants before the retreat to make it more fruitful. It would also help them to integrate into society after the retreat. They would be teachers, or Ph.D.’s or M.A.’s, and they would have a livelihood that would fit with their attainment. Joseph Goldstein: Of course, all people who do have genuine realization do not necessarily have the teaching parami (Skt., paramita), which is something quite different. Some people have that parami well developed and become teachers, and others have the teaching parami without realization. One element is the actual experience and practice, and the other is the ability to teach. We need to keep in mind that they don’t always overlap. Buddhadharma: If long-term practice is important in achieving deep realization, what does that say about the efficacy of the lay practice which now dominates in the West, in which meditation is fit in among all the demands of life, work and family? Robert Thurman: We should be cautious about anyone considering themselves great practitioners, whether they are practicing on retreat or in lay life. The bodhisattva does not dwell upon the thought of being a bodhisattva. Lay people can practice and they should do retreats. And the ones who get really good will probably give up that stupid job making that stupid money, which someone else is going to inherit when they die anyway. In the meantime, though, giving gifts and supporting those who do long retreats, and acting in a restrained way, and electing a decent president, or at least a couple of decent senators—that is practice and should be understood to be so. Judy Lief: I would go further than that. I don’t think the lay path is second best. It is a valid path in and of itself. I call it back-and-forth practice: retreat time and engaging in the world time. In my own experience, this is the most powerful form of practice. Retreat time is a time to concentrate, to focus your mind, to study intensively. But until that is brought back into your world, it is not really tested. It is easy to get caught up in your own sense of your own realization—until you go back home and you visit your parents and the whole thing crumbles. Trungpa Rinpoche used to work with students by telling them to take on a variety of activities having nothing to do with what we traditionally call practice, such as taking a job at Naropa or starting a business. By holding the view of twenty-four-hour practice, we can utilize whatever we encounter as fuel for realization. I have learned as much from some of the situations I was thrown into, such as directing Naropa, as I have learned in some of my practice retreats. If your mind flips over so that you actually are open to receiving teachings in the many forms that they exist throughout the world, it enriches the retreat experiences. In the same way, the retreat experiences enrich the interactions in daily life. Robert Thurman: I do regret that I haven’t spent more of my life on retreat. It would have been much better if I had been able to take breaks for several more two- or three-year sessions. If I had gone and developed the kind of concentration Joseph was talking about and really drilled that more deeply, I’m sure I would have been better at encountering the challenges outside of retreat. So I think it is good for lay people to see that they could be doing something more and better in the way of intensive practice. Judy Lief: But I think it is also important to get beyond the idea that there is a special time for practice, and that what’s outside of that is non-practice. It would be helpful to try to soften that boundary. Robert Thurman: I agree with that. 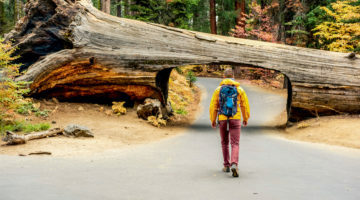 Judy Lief: Retreat is unquestionably an incredibly valuable thing, and all of us would like to figure out ways in our lives to do more of it. Nonetheless, the attitude that there are these special times and the rest is wasted time doesn’t seem very helpful. Joseph Goldstein: Two key questions arise from what we have been talking about. First, how much retreat time is necessary for lay people to be able to carry its value over into their lives? We don’t want to fool ourselves into thinking, “If I do one weekend a year, or one ten-day course a year, someday I am going to end up a buddha in this lifetime.” It is possible, but unlikely. I have seen people who have come to several retreats a year over many years and deepened their practice a lot, but how much intensive practice is enough remains an important question. The second question concerns what is needed during non-retreat time to support a level of awareness that will actually bring insight. We don’t get a lot of support from our society. What could we do so that in our ordinary life we are actually using our practice to that end? It’s easy to think that we should be doing that, and that we are, but it is not that easy to do. What can we do, then, to foster more full-time awareness—in and out of retreat? One obvious answer is dharma community. Another interesting question for me is, what about people who are not living in community? How could they really bring community into their lives and practice in a meaningful way? I think it is a tremendous challenge. Robert Thurman: Clearly, there are different answers for different people depending on their circumstances, but I do think that everyone should seek as much community as they can find, although they may have to endure without it in some circumstances. I remember that when my children were growing up in Amherst, Massachusetts, they would sometimes see little girls in their dresses coming out of church and feel left out. We would have some lamas over from time to time or we would visit IMS, but rarely as a family. You felt a little bit like a stranger in a strange land in the seventies in America. Now you feel more at home in certain places, and we gravitate to those places, and that is normal. There is much more opportunity for people today to be supported by community than there was thirty years ago. Buddhadharma: In order to develop serious, well-trained teachers to lead our communities, should we concentrate on developing monasteries in the West, or are a variety of different forms appropriate? Robert Thurman: We should be developing monasteries. Joseph Goldstein: We need both monasteries and other forms as well. The monastic form offers tremendous benefit and value, and it brings with it a whole support structure. There are also many practitioners who for one reason or another are not drawn to the monastic form. We need to provide opportunities for them to deepen their practice as well. I see the whole range as being needed and valuable, from lay centers to monasteries. Judy Lief: We also need academic centers, translation centers, research centers and libraries. There are so many different—and vitally important—forms of community. Monasticism is certainly one of them, although it is certainly not an easy form to develop, judging by Shambhala’s experience with Gampo Abbey. It is also not a tremendously popular form at this point. 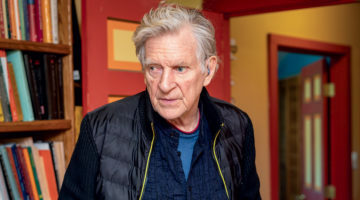 Robert Thurman: We have to realize that in American culture a big obstacle to monasticism is the Protestant ethic: the idea that there is something wrong with people who are not doing something “productive.” There’s no free lunch and all that. There is a genuine block in people’s minds about the virtue and the potency of monasticism; it is thought of as something wrong and backward. Judy Lief: But that is the self-fulfilling prophecy: because of that view, the monastic structures tend to attract people who fit that view. Robert Thurman: Yes, but I’m just saying that it makes it hard to develop monasticism. After all, in the Buddha’s time in India, he himself would have been a general in the army if he had stayed in his home life. There was no precedent for monasticism then either, except for those few forest ascetics. My sense is that this kind of resistance has now lessened. The difficulty today has more to do with a lack of appreciation for, and a lack of understanding of, renunciation. This is a huge obstacle for people, because in our society renunciation obviously doesn’t have a great reputation. People are afraid of the renunciate lifestyle. Robert Thurman: One thing Americans don’t like to think about is how backward we are as a society, in comparison with the great ancient societies of Asia when they were at the height of their prosperity and wealth. Today, we have some wealth in some sectors of our society, so we are beginning to deal with issues of leisure and refinement but not all that well. It is not the Protestants’ fault alone, but it certainly is a fact that we need to develop the idea that there is something else to do in life besides work all day. Judy Lief: You can’t create a genuine monastery outside of the societal context with which it interacts, though. This recalls Bob’s story about his children seeing people coming out of church and being envious. This is telling, because we view a monastery more as a retreat center than a church, where there are practices going on but also where there is interaction of all sorts with the lay community around it. In the Buddhist sangha today, at least in the Western convert sangha, there is a missing link between individual practitioners and families. We haven’t really developed sangha such that families can go somewhere and have a community gathering where you have an array of people—full-time practitioners, lay people, family people, children, people of many different ages, people of many different levels of realization—all having fruitful and inspiring interactions. I don’t know the solution particularly, but to me it is a central concern. Because if there is no support of a Buddhist family life, then what context is there going to be for Buddhist life, other than individuals seeking their own enlightenment, and to hell with everybody else? Buddhadharma: Traditionally, lay practitioners saw it as their role to support full-time practitioners. They saw that as a great boon to themselves, to the dharma and to the society as a whole. Is there an impulse today among lay practitioners to support the long-term practice of others? Joseph Goldstein: I don’t know how it is at the other centers, but in our organization scholarships are one of the easier things to fundraise for. I find that people are quite generous when they are solicited for funds for scholarship programs. There are great resources available to support people in practice. It is just a question of both educating and asking; the money is there. Whether it is on an ongoing basis or as a one-time gift, I think there is a large enough pool of practitioners with resources to support long-term practitioners. In fact, it is harder to raise money for some other less tangible projects. Robert Thurman: Another key issue in this regard is the distance that can open up between the monastic and the lay community, which Judy alluded to earlier. In the Vinaya, the Buddha said that a monastic vihara should not be more than seven stone-throws away from the marketplace. He was purposely distinguishing these abodes from distant forest retreat places. Judy Lief: Exactly. That monastic model is different from the current Western model, which is more of a permanent retreat model, with little interaction with the lay community. Robert Thurman: Traditionally, the monks had to go to a lay family’s house every day to get food. They would often give a talk or hang out at the house. Then the people would ask questions of the venerable monk or nun who had come to visit and have lunch. That free lunch was something that enabled there to be much more interaction between lay families and monks and nuns. There were many elements of social wisdom in the Vinaya that allowed for there to be a lot of interaction between monastics and lay people, without the monks or nuns losing their renunciation, and without the lay people being deprived. Modern versions of all of these methods will slowly develop, but nevertheless at the heart of it is the need for more realized people. Perhaps we need to have production quotas for Joseph’s forest retreat center—arhat production quotas. Joseph Goldstein: All right, Bob, we are saving a room for you. It’s a five-year lease. Robert Thurman: We have to have more arhats and more advanced retreat courses that give degrees to people who have put in the time. Then we will have a lot of enlightened people instead of a bunch of amateurs like me. Then the institutions will naturally be founded as a result of their activity. Robert Thurman is the Jey Tsong Khapa Professor of Indo-Tibetan Buddhist Studies at Columbia University and president of Tibet House U.S.
Joseph Goldstein is a co-founder of the Insight Meditation Society and the driving force behind The Forest Refuge, a new center for long-term practice in Barre, Massachusetts.